Joe Hill Roadshow, West Coast leg. Nov. 5 through Nov. 20. Chris Chandler, George Mann and David Rovics, with special guests. November 5, San Diego: Chris Chandler, George Mann & David Rovics, Thursday, Nov. 5, 7:00 p.m. San Diego Education Association hall, 10393 San Diego Mission Rd. $5 – $15 sliding scale. Sponsored by IWW San Diego Organizing Caucus. Co-sponsored by San Diego Education Association (SDEA) & San Diego-Imperial Counties Labor Council (AFL-CIO); endorsed by Activist San Diego, Coalition for Labor and Community Solidarity, UCSD Union Coalition, Committee Opposed to Militarism and the Draft, Interfaith Center for Worker Justice, University Technical and Professional Employees Local 9, Groundwork Books Collective. November 6, Los Angeles/San Pedro: Chris Chandler, George Mann & David Rovics, Friday, Nov. 6, 8:00 p.m. (Reception at 7:00) IATSE Local 80 Hall, 2520 W. Olive Ave., Burbank. (Parking onsite) $10 – $20 sliding scale. Sponsored by IATSE, IWW Los Angeles, and Arbeiter Ring/Workmen’s Circle. November 7, San Francisco Bay Area: San Francisco Labor Heritage/Rockin’ Solidarity Chorus will join the Road Show’sChris Chandler, David Rovics and George Mann for this concert. Saturday, Nov. 7, 7:30 p.m. City College of San Francisco, 50 Phelan Ave. $10-$20, no one turned away for lack of funds. November 8, Nevada City, CA: Chris Chandler, George Mann & David Rovics with special guests Bodie Wagner and Duncan Phillips. 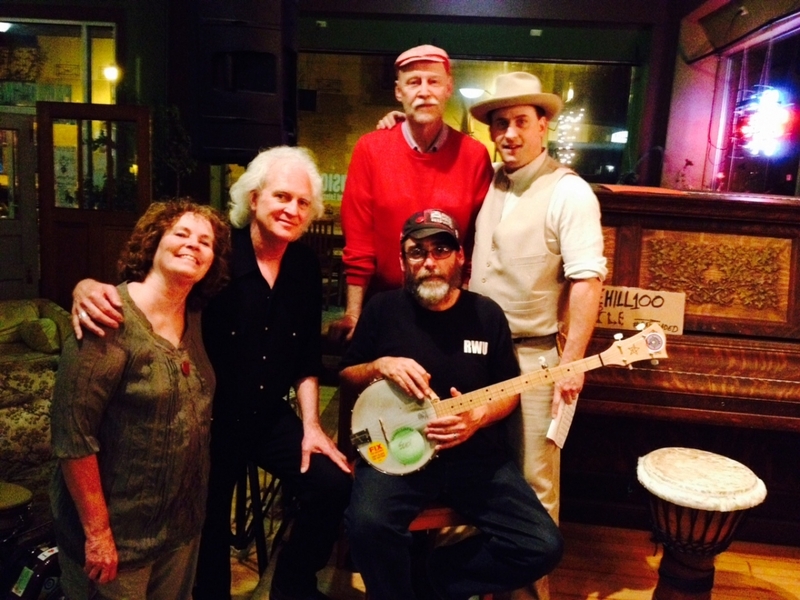 Sunday, Nov. 8, 6:30 p.m. (Live broadcast) KVMR Radio Station Community Room, 120 Bridge St., Nevada City. $10 – $15 sliding scale. This show also honors the legacy of IWW singer U. Utah Phillips, who lived in Nevada City for many years. November 9, Reno, NV: Chris Chandler, George Mann & David Rovics with special guests Tim Gorlangton and David Fennimore. Monday, Nov. 9, 7:30 p.m. Studio on 4th, 432 E 4th St. $10 – $15 suggested donation. November 11, Weed, CA: Patrick Dodd, George Mann, Mark Ross & David Rovics perform from a boxcar stage. Wednesday, Nov. 11, Community Dinner 6:00 p.m., Show 8:00 p.m. Black Butte Center for Railroad Culture, 800 Black Butte Rd. $10. November 12, Phoenix OR: Chris Chandler, George Mann & David Rovics. Thursday, Nov. 12, 7 p.m. Grass Shack Hawaiian Café, 205 Fern Valley Road, Phoenix, in the Shoppes at Exit 24. 6 p.m. buffet outside, 7 p.m. concert inside. Buffet is $13.95 (Please RSVP for dinner headcount 541-622-9483), Concert is $10 – $20 sliding scale. Nobody will be turned away from the concert for lack of funds. Sponsored by: Southern Oregon Jobs with Justice. November 13, Eugene, OR: George Mann and David Rovics with Special Guest Mark Ross. Friday, Nov. 13, 7:30 p.m. First Christian Church of Eugene, 1166 Oak St. Suggested donation $10-$20, no one turned away for lack of funds. November 14, Portland, OR: George Mann and David Rovics special performance for the Cascade Media Convergence, Liberty Hall, 311 N. Ivy St. Suggested admission $5-$10. November 15, Bellingham, WA: Linda Allen, George Mann, David Rovics and Rebel Voices (Janet Stecher and Susan Lewis). Sunday, Nov. 15, 7:00 p.m. Unitarian Universalist church, 1207 Ellsworth St. Sponsored by Bellingham GMB, Industrial Workers of the World. $10 – $20, no one turned away for lack of funds. Check out JoeHill100.com for several other events happening around the United States and across the world during November, as we mark the centenary of Joe Hill’s execution, including a vigil in Salt Lake City, a re-enactment of his funeral in Chicago, etc.